Whether you’re an artist or an art enthusiast, you will definitely be inspired on your travel to New South Wales. Besides the marvellous natural surroundings, it is home to one of the best regional art galleries in the country. The Tweed Regional Gallery and Margaret Olley Art Centre is located at Mistral Road in Murwillumbah and is surrounded by gardens and lawns making your visit even more inspiring. The Gallery has six exhibition spaces where they host historical and contemporary touring exhibitions. Besides that, visitors can also enjoy some light lunch, delicious cake or coffee at the Gallery Café’s indoor or outdoor seating. Since it’s located at the northern side of the building, visitors will surely enjoy a quiet time while adoring the magnificent panoramic views. If you are ready to be inspired, below are some of the exhibitions, you can catch this year. The Phantom Art Show: If you’re also a comic book enthusiast, this art show will exhibit feelings of nostalgia. Witness 30 various interpretations of the comic strip created by Lee Falk. The Phantom Art Show ends on February 26. 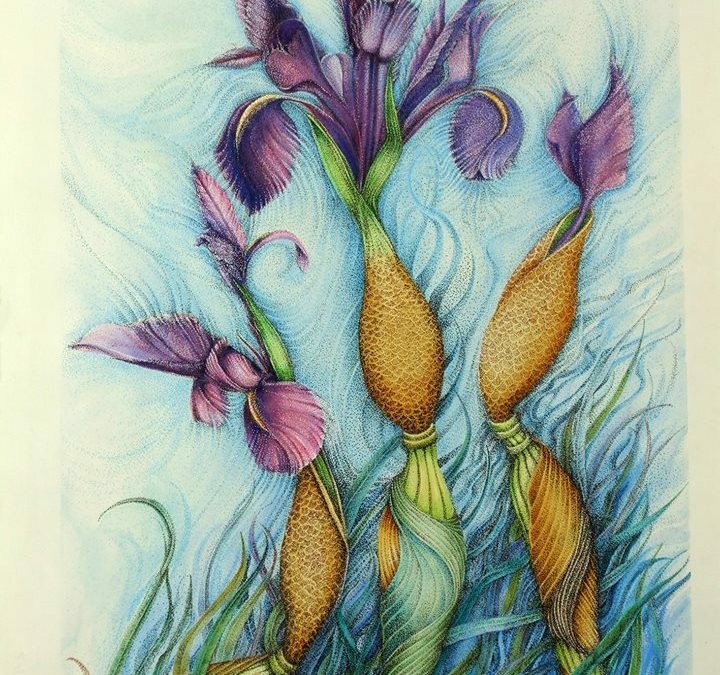 Becoming – Susan Kinneally: Enter Susan Kinneally’s botanical world where flora and fauna become an even more fantastic creation like an iris with a mermaid tail wrapped around its stem. You can view her brilliant watercolour paintings until February 26. 1,2,3 Count the Collection: For a family-orientated exhibition, catch 1,2,3 Count the Collection at The Friends Gallery until March 12. The little ones will definitely be fascinated by the diverse artworks in this fun collection. The continuity of life – The art of Maki Horanai: You can travel the world of dreams through the unique and imaginative paintings of Maki Horanai at the The Macnaughton Focus Gallery. The exhibit is set to open on March 3 to April 16. A – Z: the alphabet in art – Works from the collection: Inspired by the alphabet, this exhibition presents a playful combination of artworks made by the artist and the visitor’s’ interaction with the wonderful pieces. The exhibition is open until July 16. Don’t miss any of the Tweed Regional Gallery and Margaret Olley Art Centre’s wonderful exhibits. Arrange your travel plans and book your Tweed Coast accommodation at the Cabarita Beach Resort today!